Traffic Tickets Will Cost You More Than a Fine! Hiring a Colorado traffic lawyer vs. fighting the ticket yourself: which is better? If you are out of state, it may be less expensive to hire an dnever traffic lawyer to represent you in court and fight your ticket for compared to flying to colorado from your home state. In those situations, its almost better to find the the best Denver Traffic Lawyer to help you fight your ticket while you stay home. The traffic lawyer has expert skills in looking for defects in the ticket and other technical defects with your traffic ticket -along with the experience to understand the procedure involved with fighting your ticket. On the other hand, if fight the ticket yourself, you will be without the expertise of the law and traffic tickets -plus you will have to go to court yourself. Many people are intimidated by going to court and speaking to the judge themselves. The other bad part is that nobody will help you -everyone will expect you to know the law and cut you no breaks. This leads to possible long-term mistakes, if you have no idea what you can do. For example, I was contacted by a person who pled guilty to traffic offense, and it came up on their record, when applying for a job. Needless to say they lost the job offer and wanted to do something about a ticket that was several years old that they voluntarily pled guilty to. Traffic Schools are an interesting concept. If you research your ticket online, you will find that there are hundreds of places willing to sell you a traffic school. I urge not to waste your money on this until you discuss it with your attorney or have been authorized to take the school in lieu of points. In Colorado, there is no real which says you can take a traffic school to reduce your points, unlike other states that do -like California. 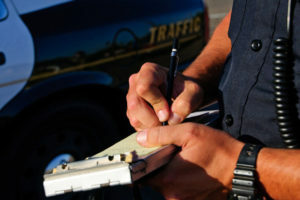 Contact an experienced Denver Traffic Lawyer to help you fight your Traffic Ticket.